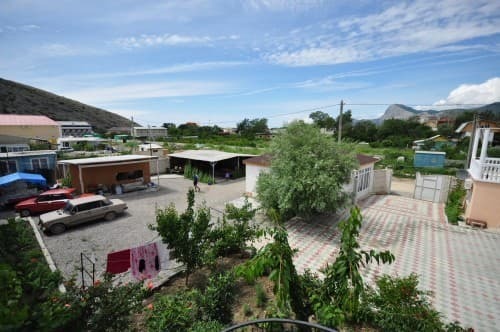 Mini-hotel "Pearl" is located in the resort town of Sudak, near the cape of Alchak. 600 m from the sea. In the mini-boarding house "Pearl" for the guests comfortable rooms with all conveniences are prepared. 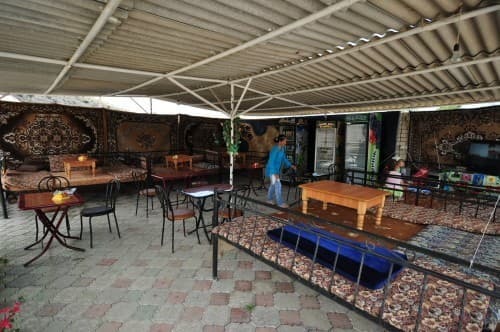 On the territory there is a cozy gazebo where customers can relax from the midday heat. Free Wi-Fi is available. There is a cafe for 40 seats, in which you can order a 3-time complex meals, or selected dishes on the menu. Also in the mini-pansion "Zhemchuzhina" there is a parking lot, a children's playground, a cozy gazebo, a medical cabinet. Nearby are the market, shops, hairdresser, and a branch of the bank. PRICES MAY CHANGE, IT IS REQUIRED TO RECEIVE INFORMATION FROM THE OPERATOR. Description of the room: A cozy one-room apartment with an average area of ​​12 sq. M, with a large double bed and a single. The room has everything you need for a comfortable stay. Description of the room: A spacious 2-room suite with all the necessary attributes for a comfortable stay. 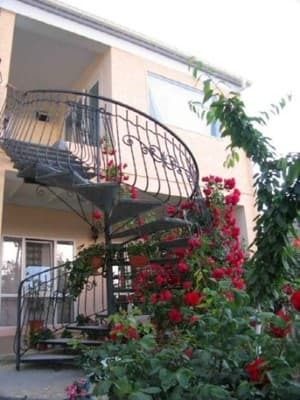 There is access to the balcony. Description of the room: Cozy 2-room apartment with everything you need for a comfortable stay. There is access to the balcony. 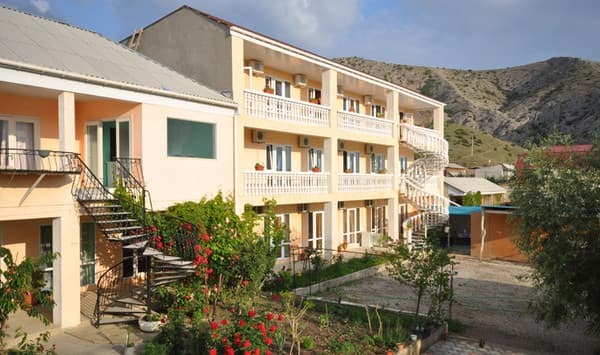 Mini-hotel "Pearl" is located in the resort town of Sudak, near the cape of Alchak. 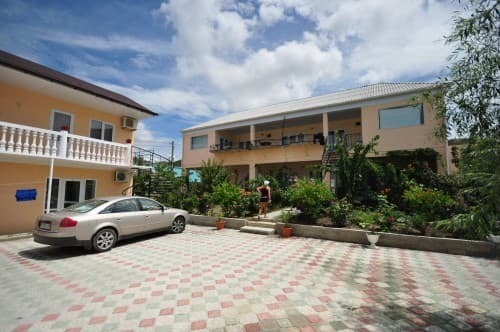 600 m from the sea, 15-20 min walk to the waterfront of the city, cafes and nightclubs.